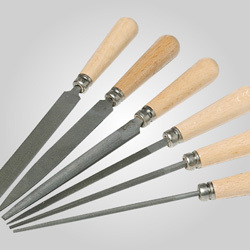 Set of 5, one of each shape: Oval, Flat, Three-Square, Square and Round double-ended rifflers. (Also sold individually, see "Related Products" below). Measure 6" overall length. 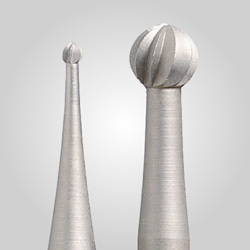 Coated ends measure 1" long. All are medium, 150 grit.